This was way too cute not to post. 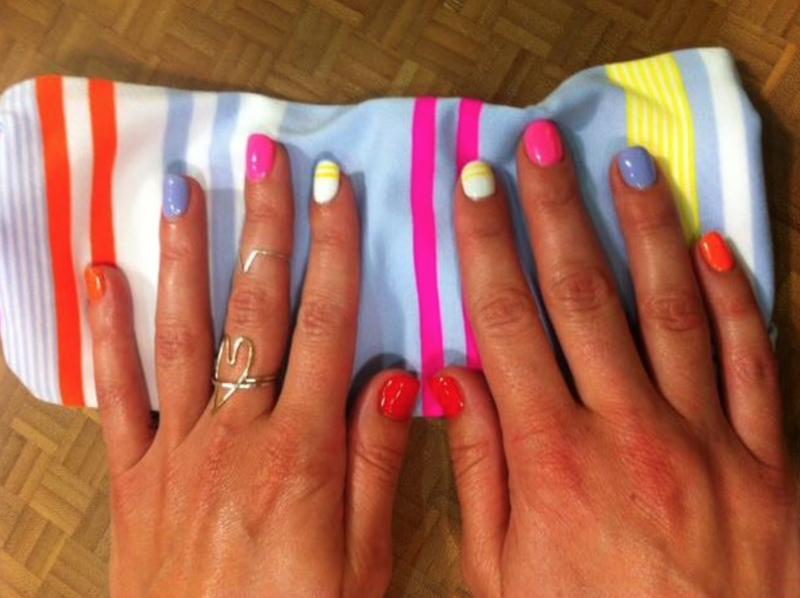 A store ‘guest’ had her manicure done to match her new Bang Buster Headband in Groovy Stripe Multi. "The Latest: Raspberry Glow Light CRB, Cool Breeze Power Purple Contempo Jacket"